You can’t go wrong with this. 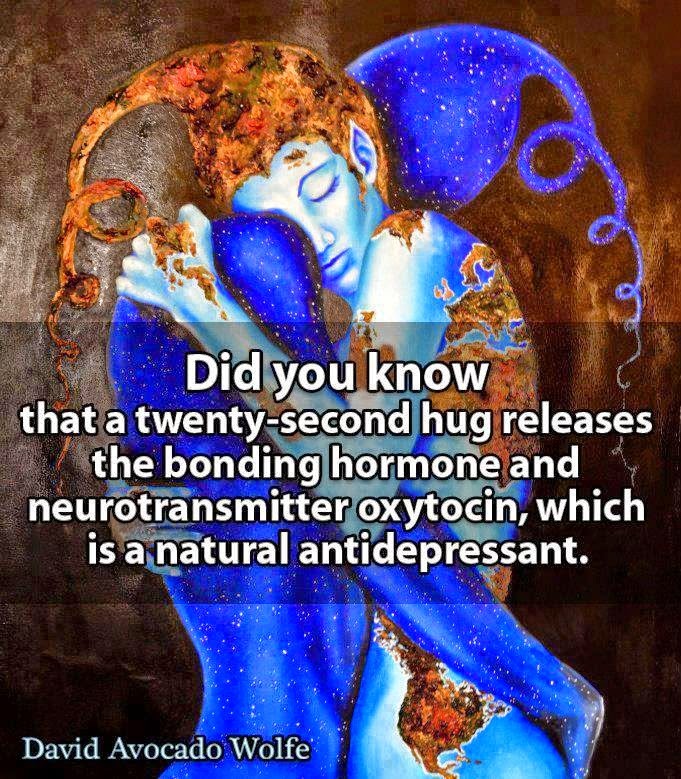 I have written about oxytocin and hugging before. But, don’t just read about it, do it. Common sense tells us that a hug is good for us. Now a new study confirms just how and why hugs are so beneficial. A study of 404 healthy adults by experimenters at Carnegie Mellon University examined the effects of hugs on the health of participants, particularly their susceptibility to developing the common cold. People who reported more hugs and greater social support were 32% less likely to come down with a cold, and the researchers interpreted that a “stress-buffering” effect of hugging explained the beneficial effect.